Following on from her “Journey of a Dress” retrospective in Los Angeles, Diane Von Furstenberg will continue celebrating four decades of her iconic wrap dress by taking over 12 windows and the main entrance at Galeries Lafayette’s Paris Flagship store from September 3 to 30. She will present a capsule collection of 12 dresses in 6 heritage prints as well as bags and a selection of small leather goods. Diane in her office situated in the famous meat-packing district in New York. 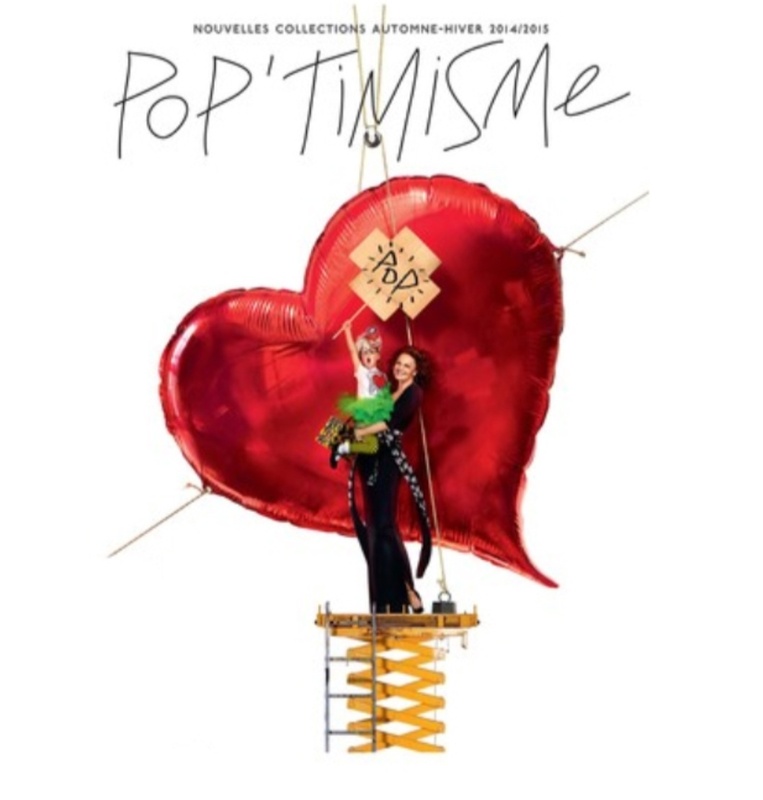 From 25th of August, Diane will feature in an advertising campaign shot by Jean-Paul Goude. She is expected to attend an event at the store in late September to coincide with Paris Fashion Week. Diane modelling the iconic wrap dress. Her dresses have been worn by the rich and famous for their style, iconic prints and comfort and are favoured by the Duchess of Cambridge. A dress from her 1975-1976 collection has been immortalised at The Costume Institute at The Metropolitan Museum of Art. An early adopter of new technology, Von Furstenberg has designed a range of eyewear for Google Glass. 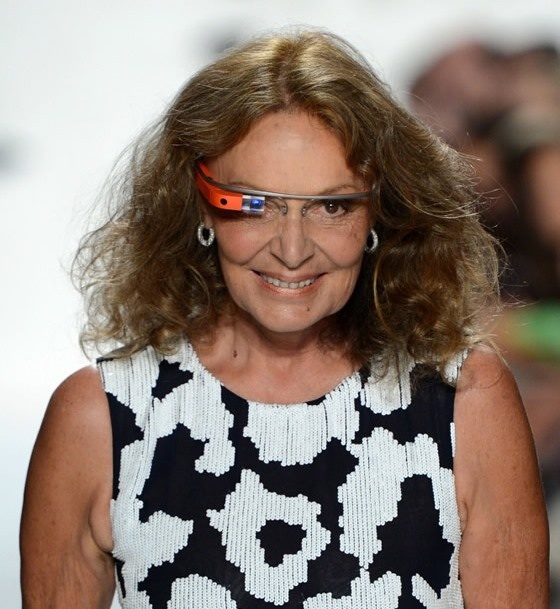 Diane Von Furstemberg for Google Glass. 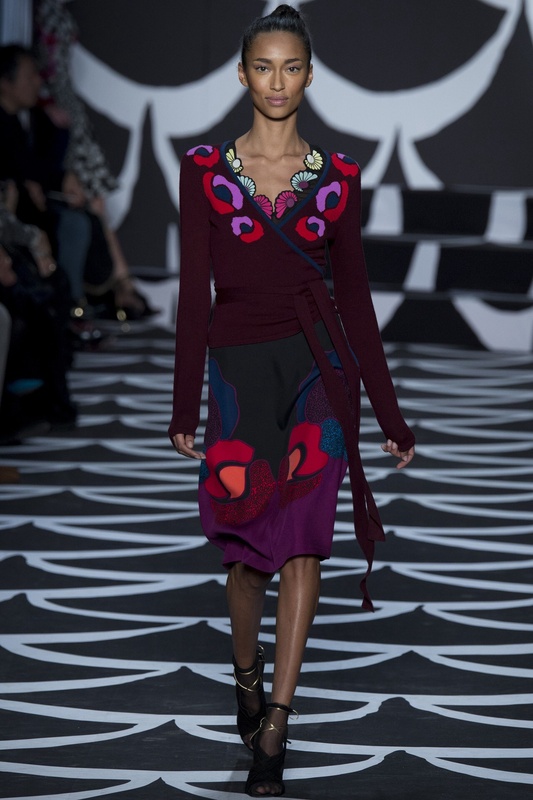 Michael Hertz who previously worked with Bally, has been hired as Artistic Director to assist in promotion and design of ready-to-wear, accessories, aesthetic of stores and advertising campaigns. Her book “The Woman I Wanted to Be” will be available from Autumn. 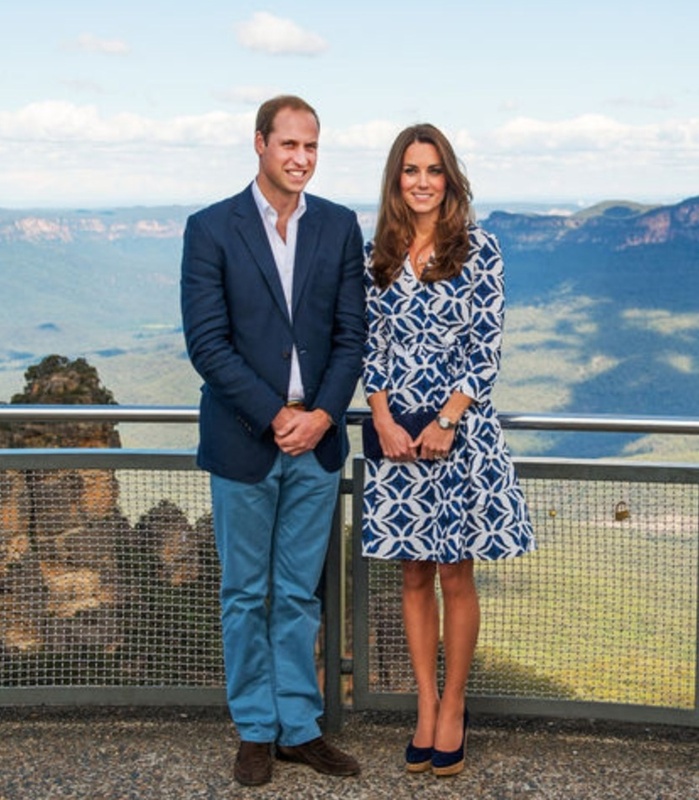 This entry was posted in Art & design, Business, celebrity, cosmopolitan, Dress, fashion, fun, key trends, lifestyle, london, Luxury brand, new season, Paris, Publications, style, Uncategorized, work, worklondonstyle and tagged CFDA, Diane Von Furstenberg, Duchess of Cambridge, DvF, Galleries Lafayette, Journey of a Dress, Kate Middleton, Metropolitan Museum of Art, Michael Hertz, Paris Fashion Week, Prince William, The Costume Institute, work, worklondonstyle, Wrap dress. Bookmark the permalink.